This message is something I personally took to heart, and I think it’s very applicable to reaching your racing goals. Working hard and putting in the effort is a critical component to succeeding, but understanding the thought process and theory behind your training is also important. Knowing why you’re performing a certain workout or training a specific way can make reaching your goals easier, and provide that extra 10% needed to succeed on race day. With that in mind, I am going to explain the training concept of VO2max, why it’s useful, and how it applies to your training. 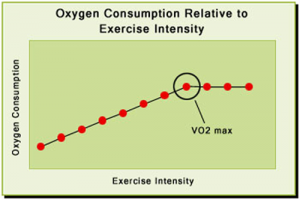 Since oxygen is critical to running fast, your VO2 max is the single best measure of running fitness. Don’t confuse running fitness with running results. Having a high fitness level doesn’t always mean you will race well, there are many physiological and mental components to a great race, but having a high fitness level is extremely important. More scientifically, as exercise intensity increases so does oxygen consumption. How does VO2max help me run fast? 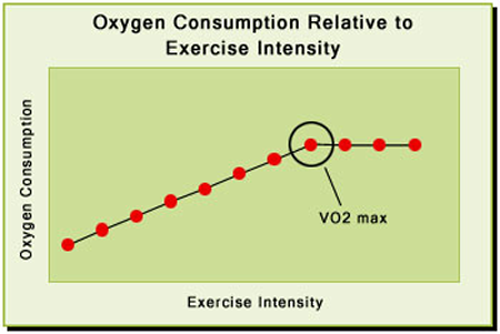 Training at VO2max increases the amount of oxygen your body can use. Obviously, the more oxygen you can use, the faster you can run – that’s a simple one. In addition, VO2max running can increase the efficiency of your running and improve your form. Since VO2max workouts are much faster than normal training, they force you to run more efficiently and with better form. When muscles become stronger, fewer muscle fibers are needed to contract to hit a particular pace; thus the energy expenditure is lower, which can improve your fuel burning efficiency during a marathon or help propel you to faster times in the 5k. How does VO2max work for me? While VO2max is a great measurement of running fitness for all distances, it’s more important the shorter your goal race is. All race distances require roughly the same physiological components (aerobic, anaerobic, VO2 max, fuel efficiency, running economy), but the optimal percentage of these demands changes based on the distance. Out of the most commonly run race distances, VO2 max is most important in the 5k. While the first portion of a 5k training schedule will focus on building aerobic endurance, think of this phase as building the foundation to a house, the last 1/3rd of a 5k training plan will emphasize VO2max workouts – think of it as the roof. Some good examples of 5k specific VO2 max workouts would be 12 x 400 meters at 1 mile to 3k race pace w/1:30-2:00 minutes rest. 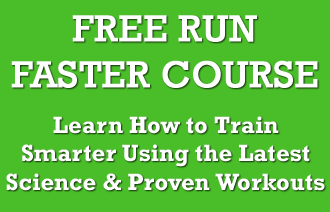 Looking for more information and workouts for training for a 5k? Check out our 5k Specific Training post. Or how about our Base Training for 5k and 10k post? The specific demands of the 10k and half marathon aren’t heavily reliant on VO2max, but it is still an important component to round out the fitness. In the 10k and half marathon, you should have a VO2 max workout scheduled every 2-3 weeks to help keep the system in check and support your other energy systems (aerobic development and threshold training). We have a great article on Specific Training for the 10k here, and a 6 week 10k specific training plan for applying the adaptation principle. You can also take a glance into the 10k training of an elite runner or half marathon specific training. Unfortunately (or fortunately, depending on how much you like lung-busting interval workouts), VO2max is not a big component in marathon training. It is still useful and it is important to include some VO2 max workouts and speed work in your training plan once every 3-4 weeks to help tweak your form and efficiency. Make sure you check out the best marathon workout. 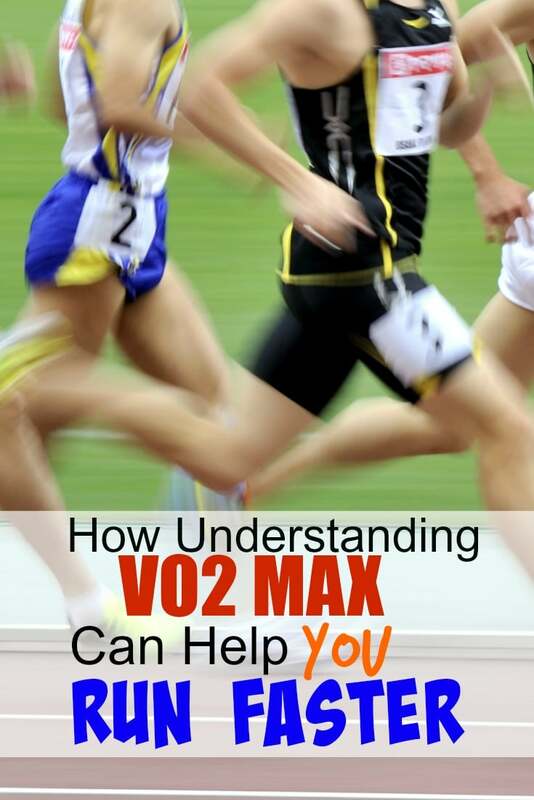 I hope you’ve learned a little about VO2 max and how it is implemented into your training. If you have any questions about the physiological concepts or even how to work it into your training, just leave a comment. This is probably a dumb question, but how do you KNOW when you’ve hit your VO2max? That’s not a dumb question. Knowing when you’ve hit your VO2max is truly tough to know unless you are being tested at the time of your workout. In my opinion it takes an athlete several years of working out and racing to be able to feel or know when they’re at their VO2max. A VO2max workout is a workout where you are completing each repetition at close to your maximal effort. I say “close to” because if you complete your repetition at maximal effort than you would not be able to do the next rep or interval. You should be able to complete the workout but it will not be easy. For me that is the best way to unscientifically explain how you know that you’re at your VO2max. It is not an easy thing to know and it really takes years of work to be able to feel it. Hello Coach Jeff. I am quite surprised that VO2 max is not considered a big component in marathon training, although I am not surprised it has less power than it does for shorter races. Do you know of an effective VO2 max workout that does not involve running (for the currently injured runner who should not be pounding feet on pavement) that a person could do with typical facilities at the gym? Recently, I tried the elliptical, and used a program called “Hill Climb”, where the resistance increases and plateaus at a difficult level for about 6 minutes, repeated twice. I had a HR of 188 (according to the elliptical) and was gasping for air. It made me think if there were similar Vo2 workouts (if the one I just mentioned can count as one) that do not directly involve running. I have a question about VO2 max how does it work reguarding the pace a runner runs meaning how fast can a runner run before he or she is out of VO2 max and how does a runner calculate VO2 max according running pace? My question is, would running 4x1km at roughly 3:30 with 4 minutes rest between each rep count as a VO2 max training. Depends what 3:30 pace is for you. If it’s near 5k pace, then yes. If slower, then no. I recall seeing a post about the optimal percentage of max heart rate that should be used for long runs. I believe it was between 55% and 70%? I have completed a VO2 Max test, which provides both my %VO2 max and %HR max. Do I use the HR or VO2 calculation in this situation? Hi Michael, thanks for reaching out. I believe it was this post you were referring to https://runnersconnect.net/coach-corner/optimal-long-run-pace/ and you should be using your VO2 % for this calculation. Hope this helps! Pingback: Can Altitude Masks Really Replicate Altitude Training?